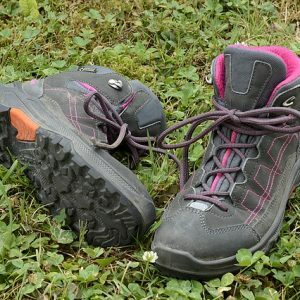 If you have decided that the type of hiking you are looking to undertake means that you need hiking boots, there are several things to look for to make sure you get the right pair. The first, and this can not be stressed enough, is comfort. This is because not only does the ‘shoe’ part of the boot need to fit you correctly, but the extended ankle supporting section also needs to be comfortable. It should have enough rigidity to support the ankle but it should not rub or cause blisters. Another thing to keep in mind, is the overall weight of the hiking boots. 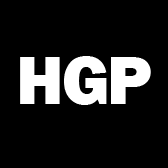 Generally speaking, the longer the length of your hikes (multi day), the heavier the load you will carry. This will then require heavier boots which offer more support. A common mistake made by hikers, is to buy boots far heavier than they need. Some consideration should also be given as to whether the hiking boots should be waterproof or not. On the one hand, Goretex hiking boots offer excellent water protection even when walking through streams. On the other hand, in hot and dry conditions, Goretex boots can be clammy and uncomfortable. If you are buying just the one pair of boots, then a compromise is inevitable. 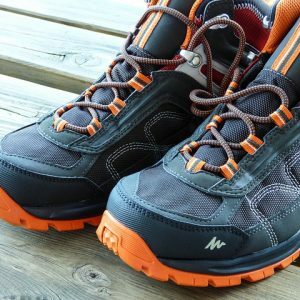 In this case, it is better to buy a pair better suited for the most common situations you will be hiking in, rather than the ‘worst case scenario’ situations. Your feet will appreciate it more! 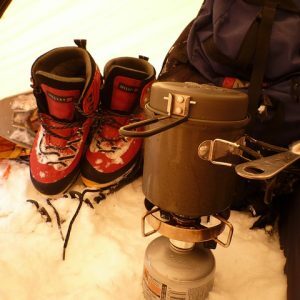 Hiking boots are ideal for: Technical hiking, varied terrain, carrying heavy loads, tough conditions.